The voice changes as people age. But when it happens to an older adult, it could be a sign of a disease. What makes such changes alarming is that it is quite difficult to identify one thing from the other because of their shared characteristics. A 1992 study showed that, out of the 64 patients aged 65 and older, only 11 had functional problems that resulted in the change of their voice quality. The rest had cancer, inflammatory problems, or lesions. This underlines the importance of knowing if the change in voice quality in seniors is influenced by a disease or not. Good thing there are subtle clues that you, a loved one, or a caregiver in an aged care residence can identify through close inspection. This is often described as shaky, weak, hoarse, and breathy. Altered pitch in the voice is also a sign that an ageing voice is going through certain changes. 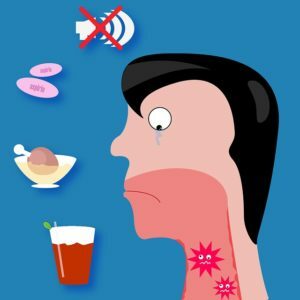 Although most voice disorders are not life-threatening, it can cause discomfort and difficulty in communicating. This is why it pays to look out for symptoms that point to a voice disorder. Irritation or infection can cause the vocal cords to swell, resulting in hoarseness. A viral infection is the most common cause, but laryngitis can be triggered by inhalers, tobacco smoke, and other irritants as well. Among the many symptoms of oesophageal reflux in seniors, hoarseness indicates a possible voice disorder. This happens when stomach acid backs up into the throat and spills over the vocal cords and causes irritation. Nodules, cysts, and polyps that form on the vocal cords can make the voice weak and hoarse. Because these prompt seniors to strain just to be heard, the growth can worsen. This is why early signs should not be overlooked. When hoarseness happens and lasts for several days, it is highly recommended to visit an ear, nose, and throat surgeon. There’s more to a hoarse voice than just a change of quality if and when it happens to an older adult. If the change of voice lasts for several weeks or months after a recent occurrence and is accompanied by pain with phonation, pain or difficulty swallowing, and with a new neck mass, it could be a sign of laryngeal or hypopharyngeal cancer. Where the tumour is located can also influence the kind of disease a senior is experiencing, whether it is still in the early or advanced stages. Cancer starts in the supraglottis of the larynx that includes the epiglottis and the area above the vocal cords. Early disease: Senior will experience disturbance of swallowing. Cancer is found at the opening between the folds of the vocal cord. Early disease: Senior will experience hoarseness. Advanced disease: Senior’s airway will be obstructed. Cancer is at the lower portion of the larynx down to the top of the trachea. It includes the area beneath the vocal cords. The subglottis is known to regulate your breath’s temperature. Early disease: Senior will experience mild haemoptysis or coughing of blood. Advanced disease: Senior’s airway will be obstructed and will have a hoarse voice that lasts for several days or months. Although the cause of this disorder is not fully understood, it is believed to be due to the uncoordinated movement of the muscles controlling the vocal cords. The result is a voice that seizes up, fluctuates, or sounds strained and quivery. Spastic dysphonia is a long-term disorder of the voice. Polyps on the vocal cords occur only once or may be caused by acute injuries, such as those that resulted from shouting too much, too often. It can be caused by gastroesophageal reflux or chronic inhalation of cigarette smoke, industrial, fumes, and other irritants. Granuloma, on the other hand, is an injury to a vocal cord caused by uncontrolled GERD, damage to the windpipe due to endotracheal intubation. Both problems will cause the pitch of your voice to change or experience fatigue. If you or a senior loved one experiences any of these voice changes, you should see an ear, nose, and throat surgeon right away. Early diagnosis increases your chances of finding relief and cure, after all. With that said, contact Dr Ananda today. For Full Article, please visit healthinquire.com.